Fire Pits are a great way to add style and ambience to your outdoor space. Keep in mind that there are a variety of styles and other options to choose from. We have put together our Best of the Best list to show you the top rated choices in each category. 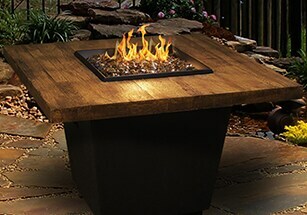 Gas Fire Pits add warmth and ambiance to your patio or outdoor kitchen. 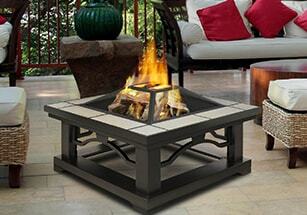 Wood Burning Fire Pits are an affordable, easy to install way to enhance your outdoor space. 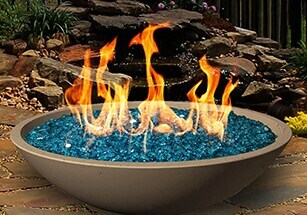 Fire Bowls are the hottest trend and a sure-fire way to take your outdoor entertaining to the next level. 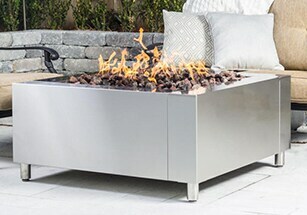 Fire Pit Tables are a way to update your patio seating area and bring everyone together around the fire. 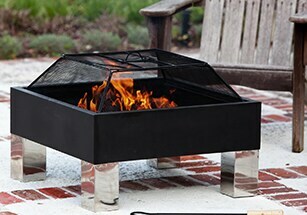 Portable Fire Pits are lightweight and can be conveniently moved wherever you need them. 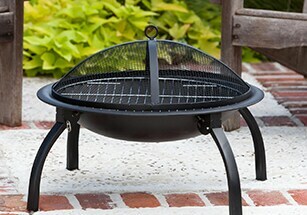 Fire Pit Grills are an excellent way to enjoy wood-fired meals and to stay warm while adding a decorative flare. 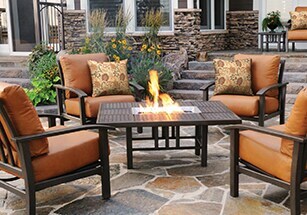 Fire Pit Sets are everything that you need to complete your patio seating area.